A look at an approach to autovacuum tuning based on sampling statistics over time, visualizing them, and then making tuning decisions based on data. A look at the four isolation levels for transactions in the SQL standard and how they apply to Postgres. A look at how a team worked around Postgres picking a particularly inefficient approach to answering a query. 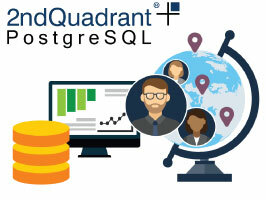 Remote DBA from 2ndQuadrant experts eliminates the hassle of monitoring and managing your database, ensuring it’s always performing its best & preempting issues that could cause downtime. Remote monitoring allows us to act fast, saving you money & reducing the impact of failure. In the new Citus 7.1, an extension for horizontally scaling Postgres, support for distributed transactions has been added, and this is a look at how they pulled it off. A complete rewrite of the existing codebase that adds full support for Postgres 10 and makes repmgr a fully-fledged extension. Scaling out operation with read replicas and avoiding the downside of stale reads by observing replication progress. EDB Postgres Training e-Subscriptions simplify how you purchase and consume training. Get unlimited access. Slides covering the perf advantages of appropriately tuning your postgresql.conf file.